3.6ct. 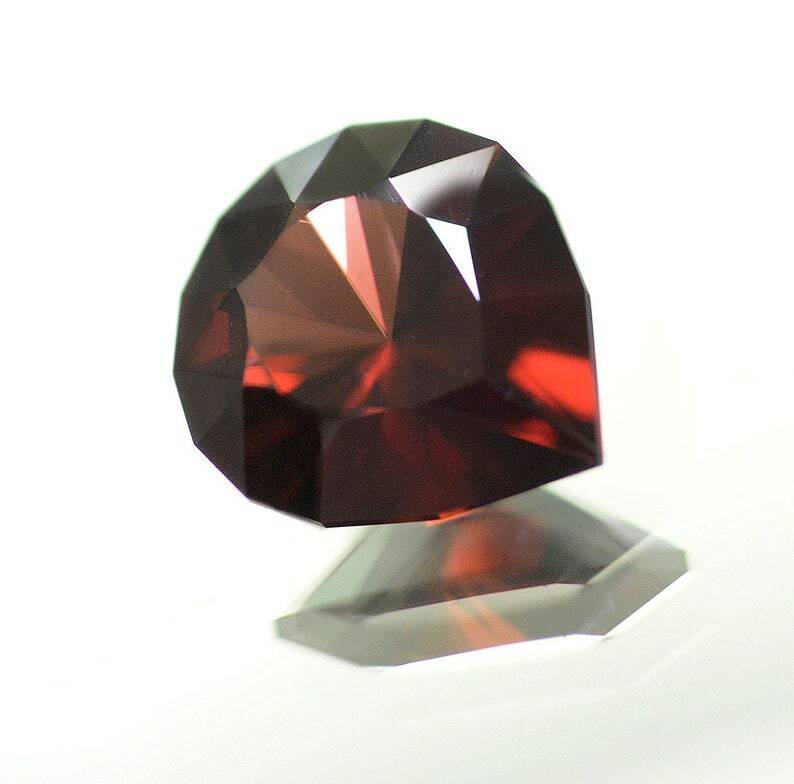 red zircon, 10.9 x 9.1 x 4.8mm, untreated, Tanzania, cut by yours truly in Jeff Graham's "Brilliant Pear" design. Remember, 'colored' gemstones (really, anything but a diamond) are best measured by their dimensions when comparing across species. This 11 x 9mm zircon would weigh more than a quartz of the same cut & size, but less than a cubic zirconia, and density does not imply value.